The real-life Lucy from the Beatles' song "Lucy in the Sky with Diamonds" has died at the age of 46. 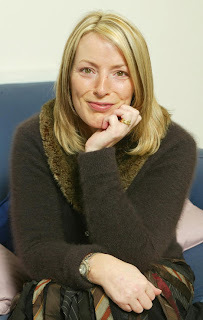 Lucy Vodden was classmates with John Lennon's son, Julian. One day, the young Lennon came home from school with a drawing that he entitled, "Lucy in the sky with diamonds." Buddy Holly wrote his hit "Peggy Sue" about Peggy Sue Gerron, who married Buddy Holly and the Crickets' band member Jerry Allison. Holly actually never had a romantic relationship with Peggy Sue, but he really, really, really liked her name. Bob Dylan wrote "It Ain't Me Babe" about his ugly breakup with former squeeze folksinger, Joan Baez. Baez must've been thrilled. Written after Paul Simon's divorce from his first wife, Peggy Harper, but inspired by Carrie Fisher, his soon-to-be next wife. According to lore, Fisher told Simon, who was worrying about how to break up with Harper, "There must be 50 ways to leave your lover." Ma-Ma-Ma-My Sharona ... That riff is forever burned in our brains, thanks to Sharona Alperin. Alperin had quite an affect on The Knack lead singer/guitarist Doug Fieger, who penned the tune for Alperin when she was only 16. Today, Alperin is a real estate agent. In order to lure Prudence Farrow, Mia's sister, out of her room when the band and the sisters were studying meditation in India, Beatle John Lennon wrote her a song. Apparently a simple knock on the door wouldn't do the trick. The most popular bossa nova song of all time, "The Girl from Ipanema" was inspired by Heloísa Eneida Menezes Paes Pinto, a Brazilian beauty who caught songwriter/singer Antonio Carlos Jobim's eye in the early 60s. Ahhh! Neil Diamond revealed that President Kennedy's daughter was the inspiration for his smash hit, "Sweet Caroline," when he sang it to the mother of three at her 50th birthday party. Guess it's only a matter of time until the Obama girls Malia and Sasha inspire their own tune. Before Aniston, John Mayer dated another Jennifer. Actress Jennifer Love Hewitt was rumored to be the inspiration behind Mayer's "Your Body Is a Wonderland." Hewitt denied the rumors to People magazine when she quipped, "John would have written, 'Your body is a disaster.'" When was the last time you wrote someone one of the most popular disco hits of all time as a thank-you for a present? 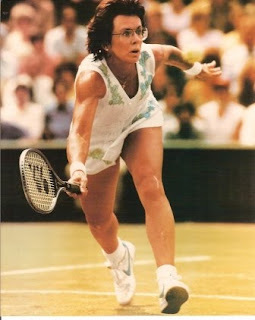 Elton John did just that when he wrote "Philadelphia Freedom" for tennis pro Billie Jean King, who gave the bespectacled pop star a tracksuit in 1975.